With a deeply rich and sweet blend, Attitude Vapes Old Dog E-Liquid features a mix of fruity raspberry and strawberry with smooth cream and decadent hot fudge sauce. Developed by American mixologists, Attitude Vapes strive to pay homage to classic British flavours. Their e-liquids deliver rich and sweet notes in a range of quintessential English flavours, ideal for anyone looking for a varied e-liquid range. Old Dog e-juice is supplied in 10ml and is available in five different nicotine strengths. A deeply rich e-liquid, Old Dog blends a range of sweet and bold flavours. Fruity and sharp strawberry and raspberry notes are mixed with smooth double cream – all topped with a generous helping of hot fudge sauce. Old Dog features a 70/30 VG/PG blend for a deeper vaping experience. 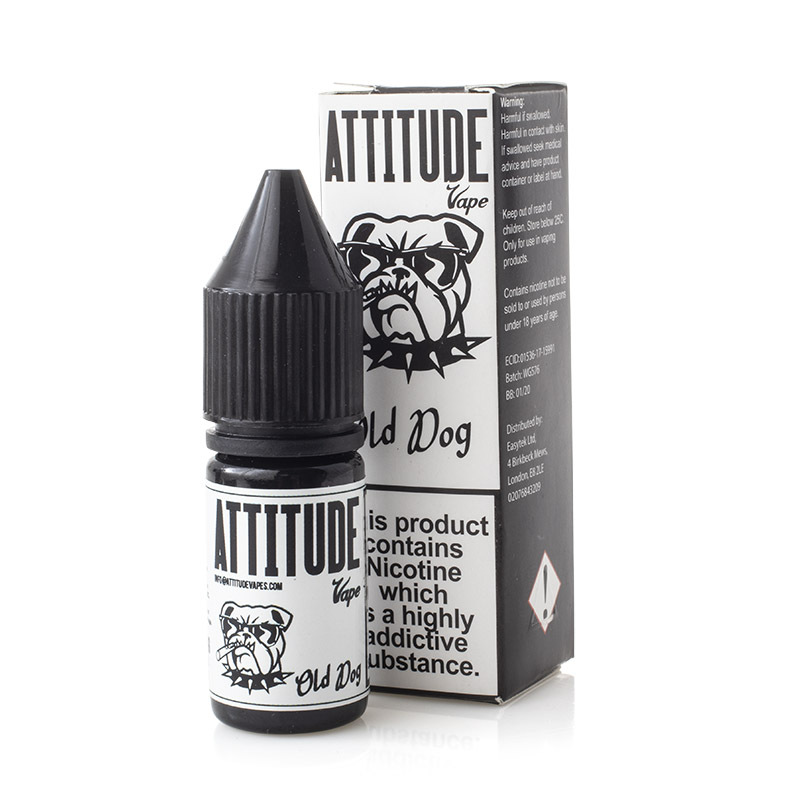 Attitude Vapes Old Dog e-juice is supplied in 10ml bottles for your vaping enjoyment. Please be aware that this product contains nicotine, which is a highly addictive substance. E-cigarettes are not intended as an aid to smoking cessation and are intended only as an alternative to other tobacco products. Cuttwood Boss Reserve E-Liquid - Money Off!